Greetings, Magooshers, and welcome back. Writing this article required a first for yours truly. To learn about the College Board Blue Book, I had to take a field trip to my local Barnes and Noble. In the Study Guide section, I found a telling sight. A high school girl was aimlessly poking around the guides. She had the classic ‘deer in the headlights’ look, too. I wondered why until I looked at the books. 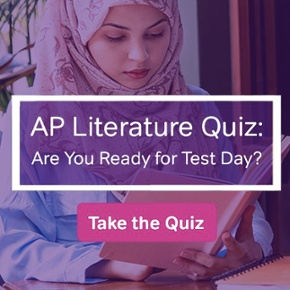 Maybe I didn’t notice it when I was in high school, but it seems that for every high-stakes test, there are at least five publishers who want a piece of that sweet study guide action. Borrowing the College Board Blue Book, I hunkered down in one of the bookstore’s hidden corners. This article is the fruit of my research, how you can use the College Board Blue Book to prepare for SAT test day. Where do I start with this thing? The College Board Blue Book is a beast. Like the phone books of yore, it’s awkward and heavy. At nearly 800 pages, it includes four full-length practice SATs with essays. Just flipping through it for the first time, I felt a familiar sense of trepidation. Where do I start with this thing? It was like I snapped out of a delusion. The first thing you need to do with the College Board Blue Book is take practice test #1! 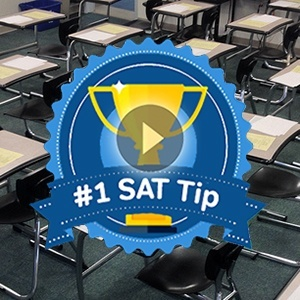 Whether it’s the SAT or ACT, your journey to test day should begin and end with a full-length practice test. It’s time to simulate the SAT. 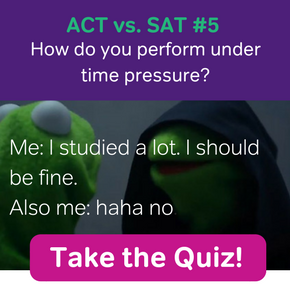 Go ahead and take the first practice test. Before you do, though, let me throw in a personal recommendation: skip the essay (for now). Why? We’ll get to that in a bit. In short, it has a lot to do with the changes the College Board has made to the SAT Essay. When you finish the test, the College Board Blue Book has a nice surprise for you. If you have a smartphone, download the College Board app. With it you can take a picture of your answer pages, which the College Board will grade right away. Isn’t that nice of them? The results are in, and they’re probably a mixed bag, especially if this is your first full-length SAT practice test. That’s okay! Everyone’s got to start somewhere. Step #2 begins with you performing an ‘autopsy’ on your practice test. Instead of a scalpel, your instrument is a writing utensil. Whether you used the app or checked the answers in the back of the book, you will see that each question revolves a certain skill/set of knowledge. For each question you missed, write down that skill on a piece of paper. To save time, just add tick marks if you missed multiple questions under the same skill set. Most likely, the majority of the questions you missed will fall under one or two areas. These areas are now your focus (at least for a while). And what do you know, each skill set has its own chapter in the College Board Blue Book! All of a sudden, an 800-page book has become one or two chapters of necessary information. But how do you best use your study time with these chapters? Let’s find out. Each of these informational chapters reviews necessary information in order for you to succeed on test day. Beyond the standard practice problems (there are also entire chapters full of practice problems), be sure to pay attention to the ‘Remember’ and ‘Practice at khanacademy.org/sat’ notes that appear in the margins. The latter are especially important, as Khan Academy has provided FREE study materials covering each part of the new SAT. 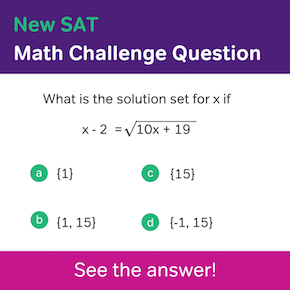 These videos and online guides are especially helpful for Math on the SAT. If you’re anything like me, it takes a lot more than a few practice problems in a book to grasp the more advanced Math topics. You will discover that ‘reading’ the College Board Blue Book is a mix of reading and reviewing online resources. During this time, you’re addressing your weaknesses and filling in gaps in your knowledge. After you feel satisfied with your studying, feel free to tackle the chapters covering practice problems. Chapter 17 of the College Board Blue Book is all about the essay. Included are practice prompts and example responses that are ‘bad,’ ‘okay,’ and ‘good.’ Let’s talk about how to best use this chapter. For SAT Essay newbies, I recommend simply reading the chapter up until the example essays. Break out your highlighter, and pay close attention to ‘Differences Between the Original SAT Essay and the Redesigned SAT Essay.’ This section will give you a heads-up on many important facts about the essay. Also, the ‘Remember’ reminders in the margins are especially important in this chapter. They give you bite-sized information on scoring and the type of writing the essay requires. Most important is the rubric on page 181-82. This rubric is the same document your graders will use when they grade your SAT Essay. Pay attention to what is required to earn a ‘4 Advanced’ or ‘3 Proficient.’ For first-timers, the rubric’s language can be a little confusing. That’s why it’s a good idea to have the rubric on hand as you look at the example essays. Seeing both poor and well-written essays on the same topic will help your mind make connections between the essays and how they reflect the rubric’s requirements. By doing this, you will come to understand what is necessary to write an essay that earns a 3 or 4 in Reading, Analysis, and Writing. As a former English teacher, I can say that it would have worked for me! Just like with the SAT practice test, it’s time to focus on your weaknesses. Use those Khan Academy resources to improve your writing skills. Using the rest of the College Board Blue Book is a simple case of ‘rinse and repeat.’ After taking practice test #2 (with the essay this time), use the results in the same way. No doubt you will see that your score has improved, especially in your weakest areas. Even so, take time to review any remaining weaknesses before moving on to practice test #3. As you supplement your study plan with other resources, take some time to hone your skills in areas where you are stronger. Last, but not least, take practice test #4 the Saturday before test day. The results of this final practice test are an excellent predictor of how you will do on the actual SAT. After that, keep reviewing a little bit each day leading up to the SAT. The Friday night before the test, take it easy. You’ve earned it. The College Board Blue Book is only one of many study guides out there. For you, it may or may not be the best one. As you peruse the various options, look for one that is suited to your needs. For example, if you’re aiming for a perfect 1600, there are study guides out there just for you. It will take some trial and error, but your efforts will be worth it.